My guinea pigs are having great fun with a carved pumpkin this evening. Apparently it’s great fun to crawl inside and peek through… if you’re brave enough. 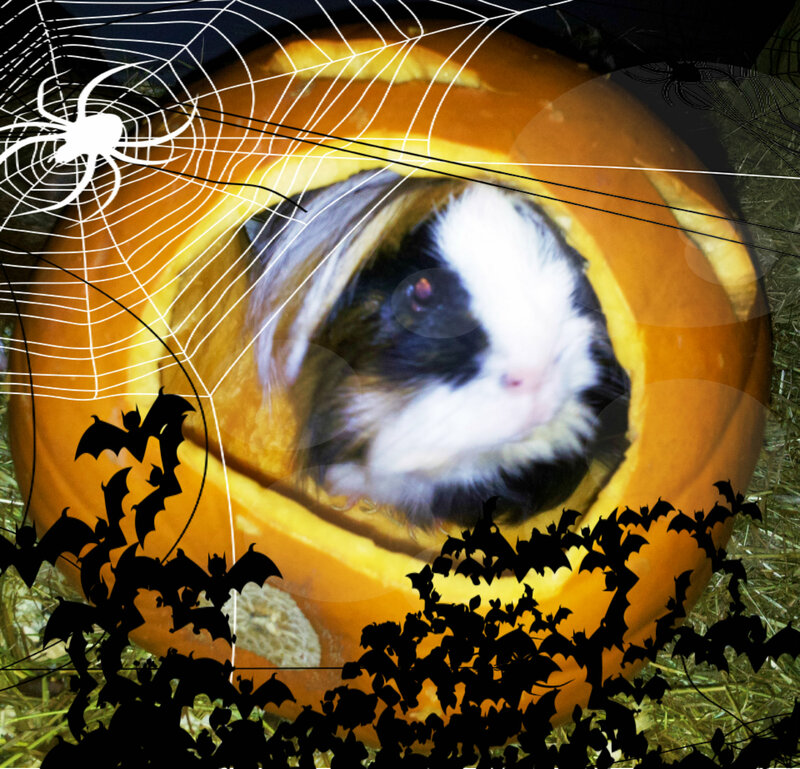 This entry was posted in Fun Stuff and tagged animals, guinea pigs, Halloween, life on October 31, 2013 by Siobhan. Part Snow Queen, part especially corrupted Eve, The White Witch is witchy in the wreak-evil-and-rule-the-world sense. In fact, she may well be the wickedest witch on this list. Having wiped out all life on the world of Charn, she escapes to London and tries to take over Earth before returning to Narnia and plunging the land into an eternal winter, turning people to stone, seducing children with enchanted Turkish Delight and killing Aslan. As a child, she was a character I loved to hate. Another scary childhood witch, perhaps made worse by the fact that witches could be anyone, anywhere. Perhaps even your school teacher. You had to be especially vigilant to be sure you weren’t accidentally talking to a witch- watch out for claw like hands, fiery pupils, bald heads and a limp. I think that this is the image that jumps into your mind whenever you get asked to picture a witch- a green-skinned woman in a tall black hat as suggested by The Oz stories and Wicked. I have included these as one character because I love the juxtaposition between the books. In the Baum books she is the power obsessed antagonist who represents all that is evil, in Wicked she is a tender-hearted heroine whose memory will ultimately be slandered by The Wizard to create the propagandist portrayal we see in The Wizard of Oz. I love her in both. This is the controversial choice that I was referring to, but for me Minerva McGonagall is the best witch in the Harry Potter books. A talented witch with a steely exterior, she has her heart firmly in the right place and I defy anyone to read the scene in The Order of The Phoenix where she stands up for Harry against Umbridge without cheering inside. She’s a damn site cooler than Hermione, though Molly Weasley has to come a close second. Did I mention that she has a mischievous side as well? While not making my top five, honourable mentions should go to The Three Witches in Macbeth, Mildred Hubble The Worst Witch, Lena Duchannes in Beautiful Creatures and, Bobd, Macha and Morrigan as portrayed in The Hounds of The Morrigan. 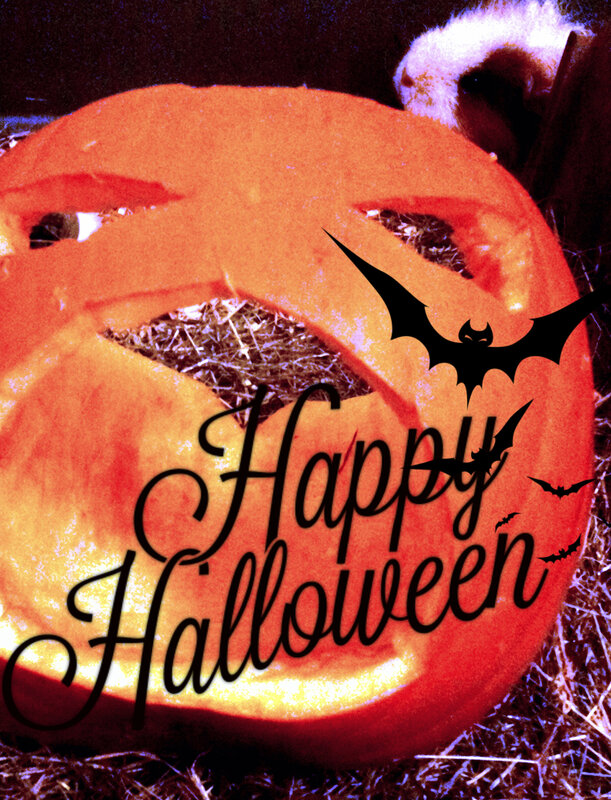 This entry was posted in Top Fives, Uncategorized and tagged books, Halloween on October 31, 2013 by Siobhan. I was really excited to receive Alexander Maksik’s new novel A Marker to Measure Drift having reviewed and loved his debut novel You Deserve Nothing. I took no time at all in reading it, but have taken for ever to review it as it left me feeling really shaken. That’s the thing about Maksik’s writing. I don’t know how he does it, but there is something about his words that seems to directly access your emotions and twist them this way and that. Maybe it’s a feature of great writing, but there aren’t many novelists that you can honestly say manage that. The novel follows Jacqueline, a Liberian refugee, as she survives living hand to mouth in an Aegean tourist trap, riddled with survivor’s guilt having escaped a tragedy which is hinted at, but not directly referred to until the end of the novel. It’s impressive how Maksik sustains the reader’s attention in the interim, gripping them with Jacqueline’s bleak struggle for a survival she doesn’t even seem to want. His intimate narrative confidently, and more importantly, credibly creates the character of a young female refuge which really engages the reader with her plight. The trouble is, in a novel rooted in such gritty, real affairs, there can be no happy ending. When I finished the novel I felt horrified and a little bereft- a reaction to the writing, but not an emotionally easy read. If you enjoy powerful issues based writing like J.M. Shaw’s Ten Weeks in Africa, I would definitely recommend A Marker to Measure Drift. Maksik is a powerful writer, but you need to make sure that you’re in the right place emotionally before engaging with some of the topics in this book. This entry was posted in Book Reviews and tagged books on October 29, 2013 by Siobhan. What are the best literary pumpkins you’ve come across? This entry was posted in Fun Stuff and tagged books, entertainment, Halloween, life, pumpkin on October 28, 2013 by Siobhan. Recently I’ve been dabbling with eBooks. Using my boyfriend’s tablet I’ve bought a few; mostly been classics like Tender is The Night or Jamaica Inn for on location holiday reading, but I’ve bought some more recent books like Neil Gaiman’s The Ocean At The End of the Lane. I wasn’t what I’d call a convert as I still infinitely prefer paper, but I was something of a reformed Luddite in that I would consider the occasional dabble. I was even thinking of buying the tablet a case. Well, no more. I am back on the paper and can’t tell you what I thought of Mr Gaiman’s latest offering. You see something strange happened in bed last night and don’t worry, this is family friendly weirdness. I was starting to read The Ocean At The End of the Lane on the tablet and absent-mindedly started stroking my boyfriend’s back, but it was strange, as if there was an energy between us that I’d never noticed before… a spark if you will. To cut a long story short, I realised that the metal tablet casing at the back of the tablet was conducting an electric current between us as the device charged, which suggests that there is something faulty within the device. I have now had to stop using the tablet for fear of being electrocuted. So there we have yet another reason why paper books are superior to eBooks. I’ve never heard of anyone being electrocuted by a paper book. And of course, I now have nothing to read my copy of The Ocean at The End of The Lane on, unless I read it on my phone which has a teeny screen. I thought eBooks were meant to make your life easier not harder, grr. This entry was posted in Direct Speech and tagged books, technology on October 26, 2013 by Siobhan. Today my colleague sent me an interesting article from Publishing Perspectives which asked, if Morrissey is a Penguin Classic, why not Elton John? The article makes some interesting points about devaluing a respected brand to soothe a celebrity’s ego and you do have to wonder what the editor was thinking. Did Morrissey demand to have his autobiography published in the Penguin Classics series? Is the publication of Morrissey’s biography in the Penguin Classics some kind of stunt? Does it matter anyway? Neither my colleague or I have read the Morrissey autobiography but it did lead to an interesting discussion about what can be considered a classic. I argued that a classic has to have gained some sort of critical praise from readers across a significant period of time, it’s not a label which can be instantly applied- in the same way that you can’t call a book which has yet to be released a bestseller. But that’s a pretty vague and fuzzy definition in itself. What makes a book a classic for you? This entry was posted in Direct Speech and tagged books, entertainment, music, writing on October 22, 2013 by Siobhan. After watching Joss Whedon’s Much Ado About Nothing the other day I had to share this quote from the full text (by William Shakespeare) which was cut from it. I love that for so much of the play she rejects the idea of marriage because she enjoys her independence and doesn’t think that any man can match her wit. This entry was posted in Uncategorized and tagged books, Quotes, Shakespeare on October 22, 2013 by Siobhan. It’s giving me actual shivers of anticipation. Doesn’t it look amazing? And I don’t normally say that when I see the trailer for a book I love. Sophie Nelisse is such a pretty girl but has an air of mischief which I think will be perfect for Liesel. The only problem is that while the US release date for The Book Thief is November 8th 2013 I have to wait until January 31st 2014 to see it in the UK. So frustrating, I feel like I’m having to patiently wait for everything at the moment! This entry was posted in Uncategorized and tagged books, entertainment, films, History on October 21, 2013 by Siobhan. This week I’ve been spending a lot of time lying on my sofa recovering from my operation and have been too tired to do anything, including read. After dozing through way too much daytime TV my soul was beginning to feel rotten so I decided to see if there were any films I wanted to see via the Virgin Box, and lo and behold, there was Joss Whedon’s Much Ado About Nothing (my absolute favourite Shakespeare play, seriously, I can recite almost all of it with a bit of prompting) which I’ve been wanting to watch for ages. I’m a bit of a Whedon geek, though I didn’t realise exactly how much until I watched this film (hello Wesley, hello Fred, hello Agent Coulson) and I was initially concerned that I was too familiar with the actors’ other work with Whedon to really believe in their portrayals of the characters I know and love but my fears proved unfounded and I thought it was amazing. The first thing that really impressed me was that from the very beginning of the film Whedon did something that most director’s don’t and made the hints that Beatrice gives about her previous romantic relationship with Benedick explicit for the modern audience. For example, the film starts with Benedick sneaking out of bed as Beatrice sleeps, clearly some time in the past, and foreshadows Beatrice’s line “You always end with a jade’s trick. I know you of old” beautifully. Having said that, portraying it as an overtly sexual relationship makes it harder for the viewer to accept Claudio’s reaction to the “reveal” of Hero’s “disloyalty” later in the film, so this divergent approach is a little problematic but, regardless of that, kudos for highlighting this- it’s something a lot of directors seem to disregard and I think it’s crucial to the audience’s understanding of the root of their “merry war”, which is obviously anything but. In every generation, one Slayer is born, because a bunch of men who died thousands of years ago made up that rule. They were powerful men. This woman is more powerful than all of them combined. So I say we change the rule. I say my power, should be *our* power. Tomorrow, Willow will use the essence of this scythe to change our destiny. From now on, every girl in the world who might be a Slayer, will be a Slayer. Every girl who could have the power, will have the power. Can stand up, will stand up. Slayers, every one of us. Make your choice. Are you ready to be strong? I was surprised when reading the trivia section on IMDB that apart from the abridgments (which sadly saw Beatrice’s line about being “overmaster’d with a piece of valiant dust?” being cut) Joss Whedon had changed only one line in the play which was from “if I do not love her, I am a Jew” to “if I do not love her, I am a fool.” On the one hand, I can completely understand why he did this, but I did think it was strange that he let this line lie but retained Claudio’s “I’ll hold my mind, were she an Ethiope.” Shakespeare is full of huge amounts of language and Elizabethan attitudes which are totally appalling to a modern-day audience, but by changing a line to avoid antisemitism, and letting an explicitly racist line lie I think that you create a problematic environment in which you either need to be totally true to the text or clean up the play completely. I would highly recommend this to anyone who likes Shakespeare and any Whedon fans who have yet to whole heartedly embrace the bard. The official trailer is below. This entry was posted in Uncategorized and tagged books, entertainment, film, love, Shakespeare on October 19, 2013 by Siobhan.